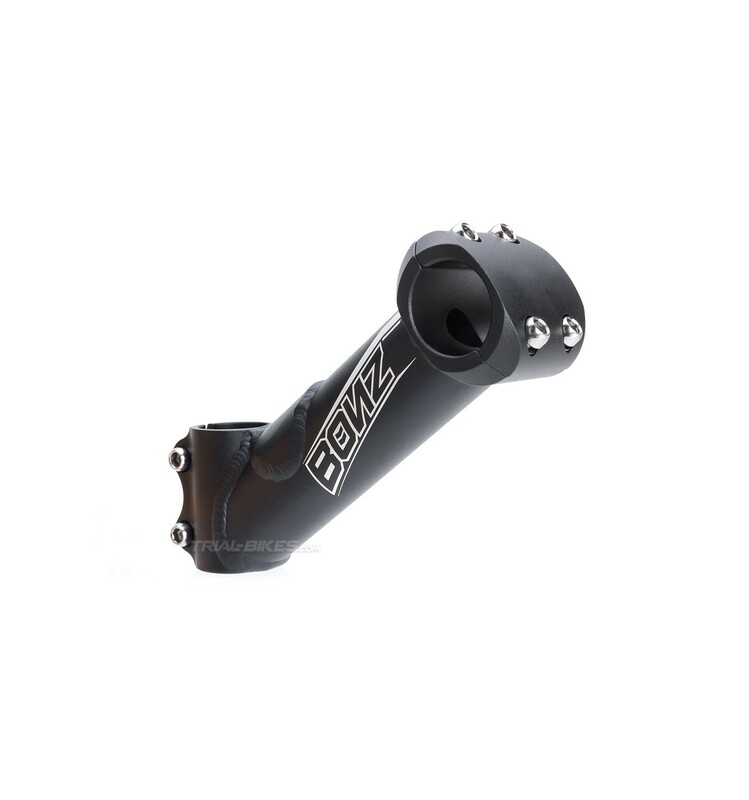 - New Bonz Expert 2015 stem. - Its super strong design has the goal of being reliable and long-lasting, thus avoiding the common cracks. - Made from high quality 6061 T6 aluminium. 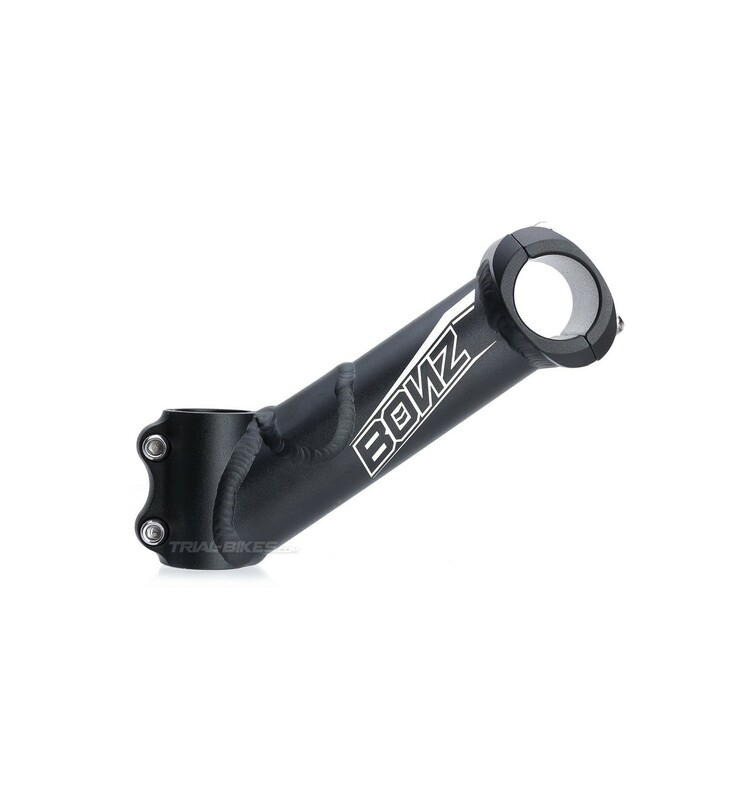 - The steerer tube clamp is welded to the main tube, with an additional gusset on top to increase stiffness and prevent cracking. 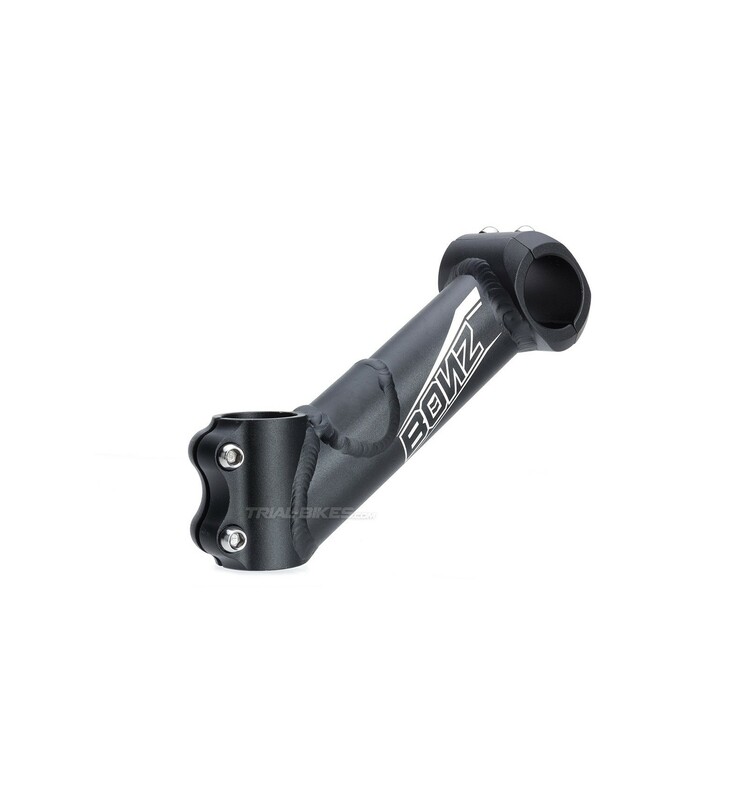 - New 4 bolts handlebar clamp that provides an effective, reliable hanging. - It uses 6 M6x18mm steel bolts: 4 for the handlebar clamp and 2 for the steerer tube clamp. 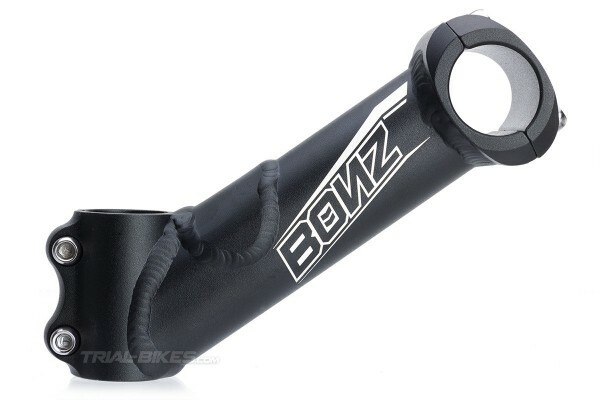 - Suitable for most oversized handlebars, normally used on trials bikes. - Cool silver laser etched Bonz graphics. - Only available in 150mmx35º.